Darkness and silence. 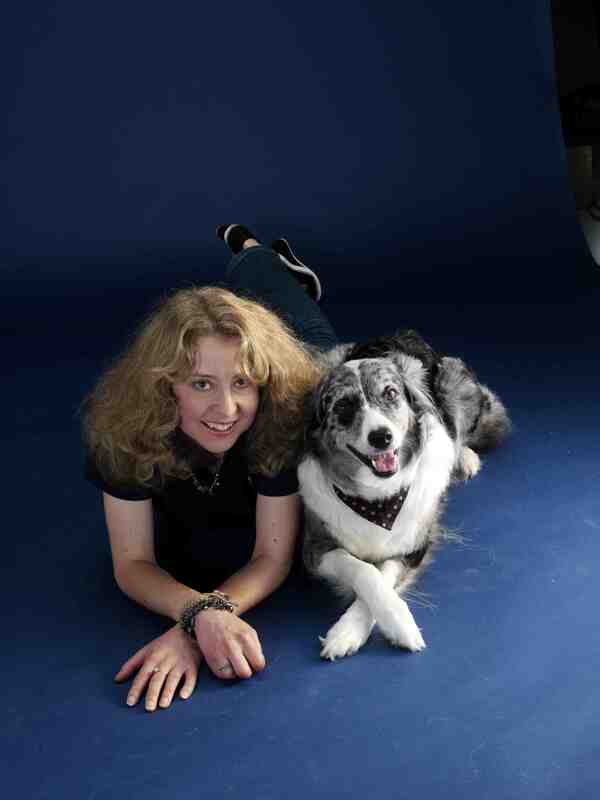 | Tina and Amazing Grace the dancing dog. When Annemarie delivered me and my little wooden box back home, the house felt so empty. It was empty – just me left. There was only one thing that I wanted to do. I went to bed and stayed there for the next four days. There was no point in anything. I wanted to die. To be released from the intense agony that came over me in waves every few seconds. I kept looking for Chandi. We were always together. My head was finding it impossible to adjust to her not being there and it seemed as though I would forget that she’d gone, and I’d look for her and then I’d remember. This happened again and again and again. It was unbearable. I couldn’t sleep. I couldn’t stand the dark. As soon as I put the light out – I only tried it once on the first night – I was immediately back at the Vet’s in the operating room on the night Chandi died and going over and over the events in my head. I felt as though I was going mad. I couldn’t stand the silence. The only way I could get even a few moments of peace at night was to leave the light on and have the TV on with some mindless show. I would fall asleep briefly, but even turning the TV off for a second delivered me instantly back to where I didn’t want to be. It was fourteen days before I could tolerate darkness and silence, but even then I would wake in the small hours and start to sob as I remembered what had happened and tried to understand why. Having not eaten or drunk anything for four full days, I was going downhill fast. I wanted to die. I didn’t want to be here without Chandi. She wasn’t ‘just a dog’, and I wasn’t some friendless freak that only had a dog for company. Chandi was my choice and I loved her as much as it is possible for anyone to love anything. She made it so easy to love her. She was mine and I was hers. Two souls, one life. If it hadn’t been for Annemarie, Emma, Sian and Roy and their constant phone calls, I don’t think I would still be here. 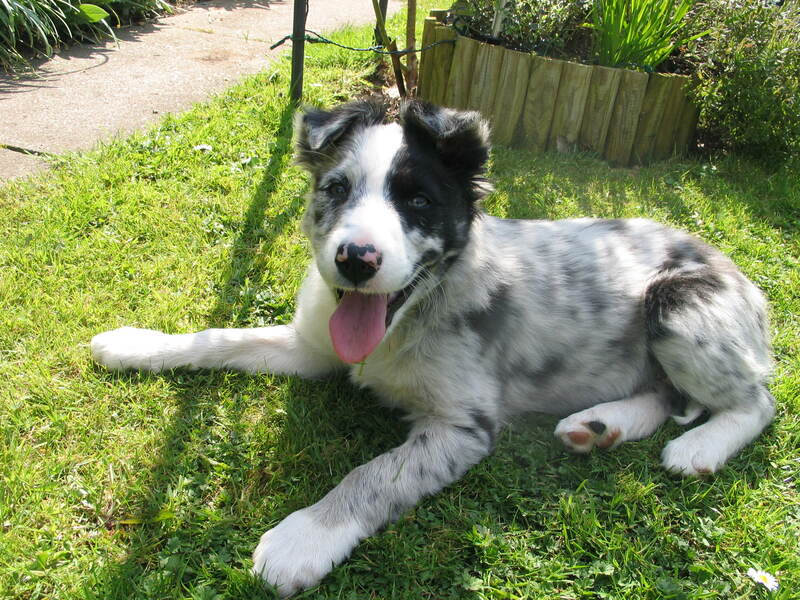 When I did finally drag myself out of bed due to sheer thirst, I switched on the computer and searched for adverts for blue merle Border collie puppies. That’s how I found Grace. Grace: Synonyms: Elegance, loveliness, and beauty. 3 Responses to Darkness and silence. I feel for you. I would echo what the Queen once said: “Grief is the price we pay for love”… but I would add that love itself is inexhaustible. The love our companion animals repay is with may be limited by their shorter lifespans than ours, but it is no less profound – in fact it may be more so. But the loss of our beloved friends doesn’t mean that we ourselves are lost. We live to love another day – our very reason for being is love: to love our fellow creatures, be they human or animal, fish or fowl. No new creature can occupy the same space in our hearts as the ones we have lost, but the wellspring of love itself is eternal and, indeed, healing. Grace is a good name. Not only for the new companion but also for the gift she will give you. The grace of renewal, of waking to a fresh new day, of compassion, charity and, of course, love.